The priority theme for CSW59 is Beijing+20, based on reviewing the Beijing Declaration and Platform for Action, implemented at the fourth world conference on women in Beijing 1995. Members of the UK NGO CSW Alliance have produced a report on progress in the UK on implementing the BPFA, and responses to documents. Read these here. Declaration by Chair of NAWO, Annette Lawson. View all other official documents, including NGO reports and inputs here. 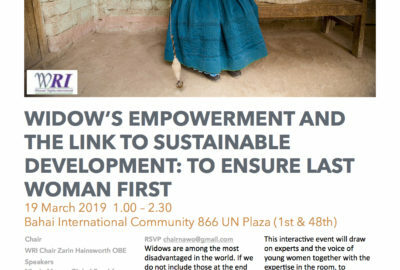 Helen Reardon-Bond OBE, Head of UK Women’s National Machinery, at the Government Equalities Office published four CSW59 Newsletters, read them by following the links below.